Do not underestimate the ability of a vehicle to change your life, especially when we are talking about a luxury SUV by Mercedes-Benz. The new 2017 Mercedes-Benz GLS SUV, for instance, is your ticket to a new way of experiencing driving. From the crisp response of acceleration that its engine gives back when you press the gas pedal to the smooth ride you enjoy regardless of what type of terrain you are traversing, the 2017 GLS SUV delivers a driving experience that borders on perfection. Better yet, new 2017 Mercedes-Benz GLS SUVs are for sale or lease in Union, New Jersey, at our dealership, Ray Catena Union LLC. Since there are three 2017 GLS SUV models available, it helps to visit a high-class dealer that offers the expertise you need to determine what model of this luxury SUV is right for you. Of course, we also have financing available, including Mercedes-Benz lease and loan offers. With so many benefits available, is it any wonder Ray Catena Union LLC is among the premier dealers of 2017 GLS SUVs and other new Mercedes-Benz models serving the Union, Westfield, and Plainfield, NJ, area? 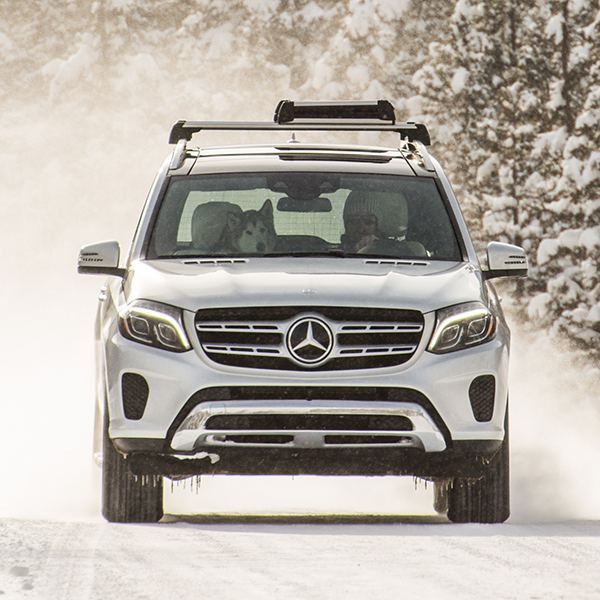 Part of what separates the new 2017 Mercedes-Benz GLS SUV from other vehicles is its overall quality and practicality. 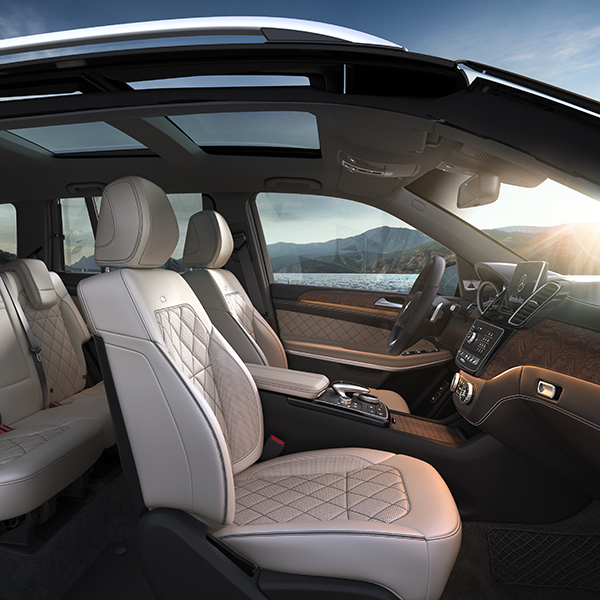 With seating for seven adult passengers spread across three rows of seating, families in Union, NJ, will relish the convenience of these luxury SUVs. 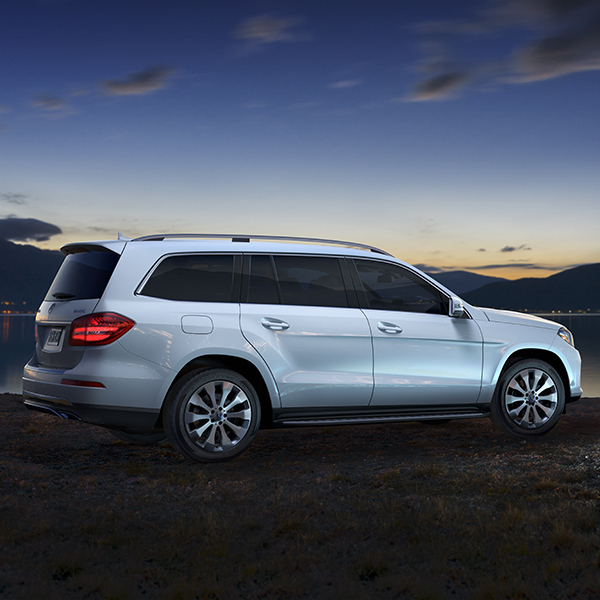 Spaciousness is just one characteristic of the new Mercedes-Benz GLS models, however. The other factor is luxuriousness. With its high-quality materials and well-constructed components, the interior of the 2017 GLS SUV is a five-star hotel room minus the early check-out time. Imagine how pleasant is the experience of driving clients around the city or taking your family on a cross-country drive while all of your passengers are comfortable and content the entire time. Available flat-screen monitors embedded in the rear sides of the front headrests furthermore provide a wealth of entertainment for backseat passengers. Meanwhile, as the driver, you have your own suite of infotainment features on a crystal clear touchscreen on the instrument panel of your new GLS SUV. Schedule a test today in a 2017 Mercedes-Benz GLS SUV at Ray Catena Union LLC to discover the interior of this vehicle firsthand. All three of the models of the 2017 Mercedes-Benz GLS SUV feature three rows of seating and a dynamic exterior design with sharp body lines and a muscular profile. Where these models differ is in their performance capabilities. 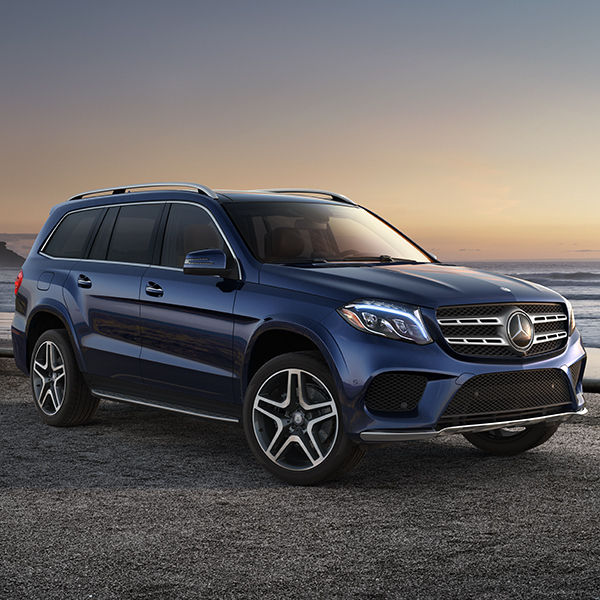 Consider first the 2017 Mercedes-Benz GLS 450 SUV, which is powered by a 3.0-liter V6 biturbo engine that produces 362 horsepower and 369 foot-pounds of torque. While that amount of power may be more than adequate to handle all of your daily driving needs, for an even greater thrill and more all-terrain performance capability, consider the 2017 Mercedes-Benz GLS 550 SUV, which has a 4.7-liter V8 biturbo engine. With 449 horsepower and 516 foot-pounds of torque, you will be hard pressed to find terrain this SUV cannot tackle. Of course, some drivers live for pushing boundaries, which the 2017 Mercedes-Benz AMG® GLS 63 SUV certainly does thanks to its handcrafted 5.5-liter AMG® V8 biturbo engine, which generates 577 horsepower and 561 foot-pounds of torque. Now that you know about the luxurious and practical elements of the 2017 GLS SUV interior as well as the performance capabilities of its three distinct models, it is time to review this luxury vehicle up close in our showroom or new inventory at Ray Catena Union LLC. Located in Union, NJ, and serving Westfield and Plainfield, NJ, as well, our dealership is a great source of new 2017 Mercedes-Benz GLS SUVs. Furthermore, we sell and lease a comprehensive selection of all new Mercedes-Benz sedan, coupe, and SUV models. Visit our dealership today to explore the unbounded potential of the new 2017 GLS SUV to change the way you experience driving in Union, NJ, and beyond.